Your son will love the colourful shark themed print of the Adidas Mens Graphic Aquashorts! These junior Adidas swimshorts have a cool shark themed design which will make your son the envy of his friends at the swimming pool! This Adidas swimshort offers the perfect blend of comfort and durability making it the perfect men's swimsuit for your training, fitness and leisure swimming sessions. This Adidas adult swimming short offers excellent colour and shape retention properties due to the chlorine resistant INFINITEX®+ fabric it is made from, allowing your swimsuit to look like brand new for longer! This Adidas swimshort is part of the 2016 Swimwear range, Adidas swimwear is well loved by swimmers because of it's excellent lifespan, fantastic comfortable fit and bright colourful designs. This makes the Adidas Swimwear range perfect for training, fitness and leisure use! The Boys Adidas Graphic Aquashorts comes in a colourful design and is made from a chlorine resistance INFINITEX®+ fabric which offers excellent protection from UV rays & fading alongside excellent shape retention making this Adidas swimshort ideal for your sons training, fitness and leisure swim sessions! This Junior Swim short is part of the Adidas 2016 range of swimwear. Adidas Swimwear is loved by swimmers because of their long lasting nature, excellent comfort and stylish designs. Adidas are the largest manufacturer of sportswear in Europe and now offer a huge range of training, fitness and performance swimwear which is quickly becoming a popular choice at swimming pools and major swimming events! 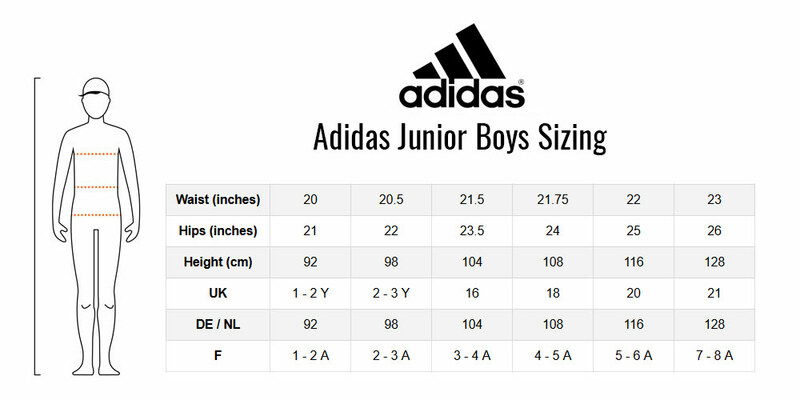 Boys swimsuit from the highly anticipated Adidas 2016 swimwear collection. Beautiful high definition colour print. Durable Adidas INFINITEX®+ Fabric allows this swimshort to last for 100s of hours making it perfect for regular swim training.